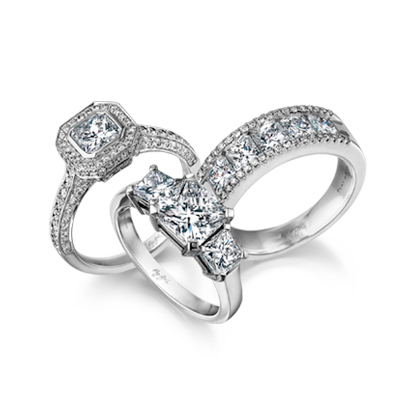 The classic four-claw setting diamond ring shown contains a 0.51ct round brilliant cut diamond. 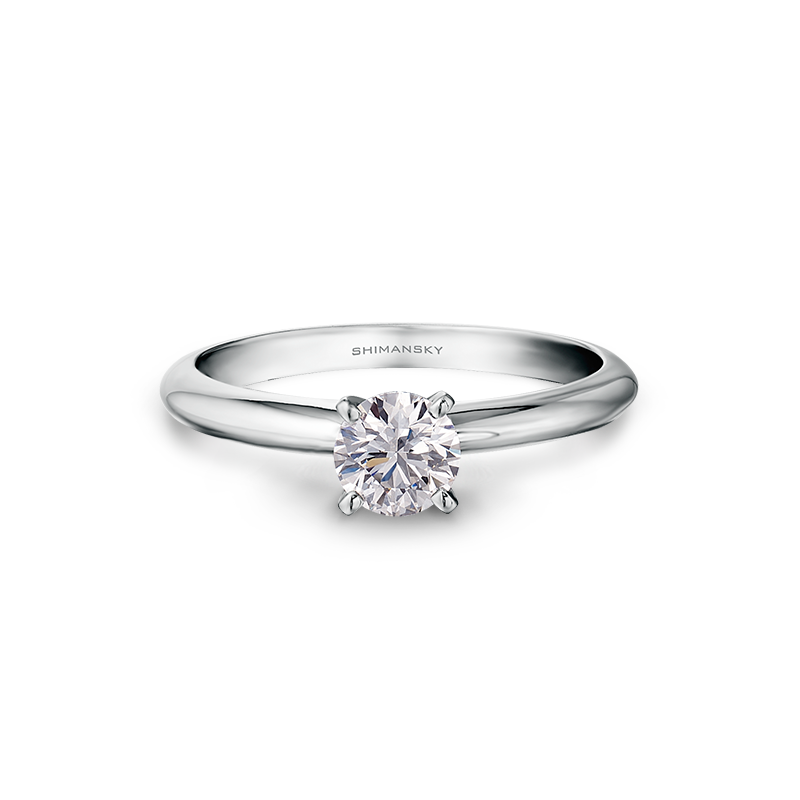 The four-claw G/SI round brilliant cut diamond (GIA certified) solitaire ring is available from 0.50ct, 0.70ct and 1.00ct. 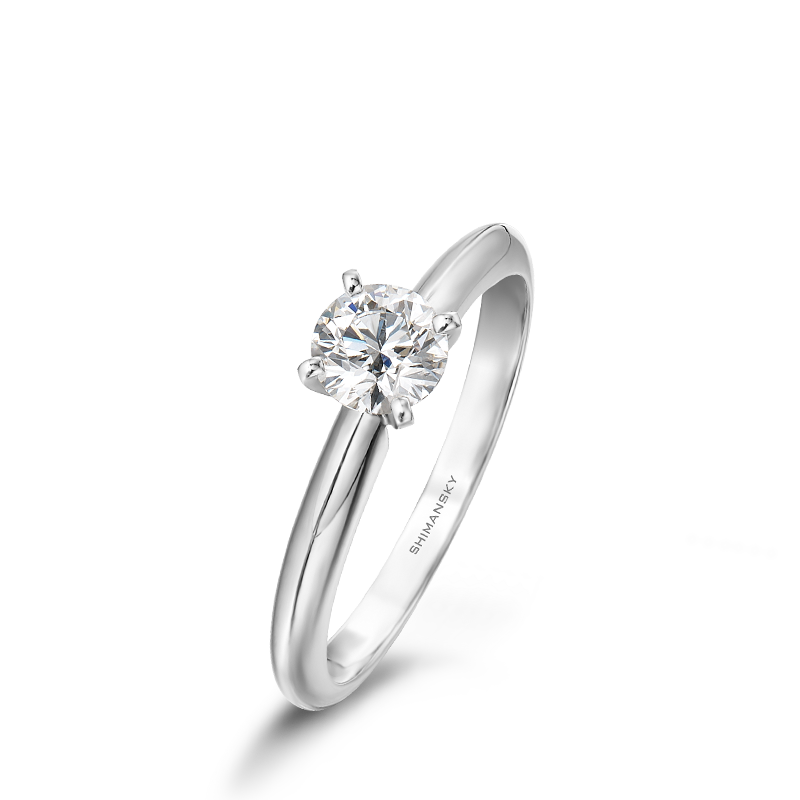 The design is a four-claw setting with a knife edge shank crafted in your choice of 18K white gold or platinum. View our current Pricing tab.